When travelling around the island don’t forget to visit Nui Beach. It’s a tiny, and very pretty, bay hidden away on Koh Lanta’s coast right next to Klong Nin. Because of its superb location no resorts are built on this beach. Nui Beach is located just after Khlong Nin heading south away from Saladan, so look out for the Nui Beach sign post. The beach is accessible either by walking through the trees or by going through Nui Beach Bar and walking down the man made steps. Many times when visiting the beach you will only find a couple of people, normally though you can have it all to yourself. The beach is amazing, all soft sand and usually crystal clear water. You can only swim in certain parts of the sea due to it being quite rocky. When going home you have to walk up a hill so on a hot day the bar is great place to stop. It has an amazing unique view serves simple food and is great place to unwind even more. 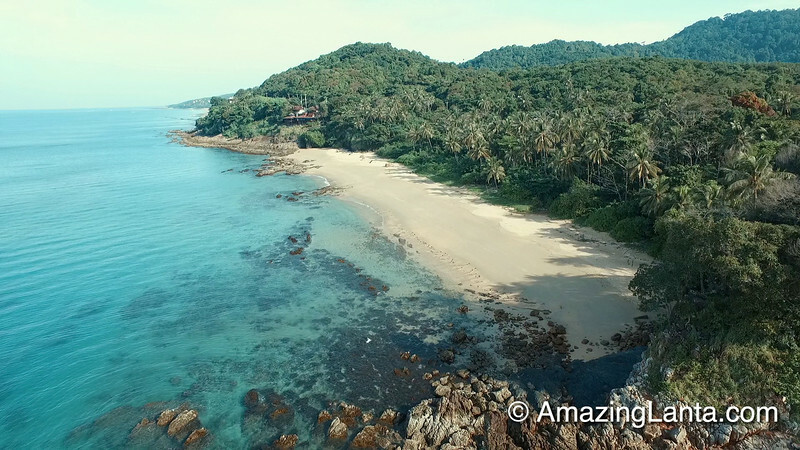 Here is AmazingLanta.comâ€™s interactive map of Nui Beach on Koh Lanta- click on the icons to see information on the hotels.